The Plaza Tavern is ideally located less than 30 minutes from Melbourne and has been specifically designed to celebrate entertainment and social gatherings. We offer four unique event spaces that are perfect for every occasion. We offer two spacious function rooms; The Manhattan Ballroom, and the Sidecar Lounge & Boardroom. Here at the Plaza Tavern, we are known for providing quality service, which will ensure your function occasion is a most memorable and successful occasion. Just want to thank you and the team for supporting Dads 70th. Everyone enjoyed themselves. We would like to say thank you so much you did a fantastic job for Emma's 18th birthday she was very happy on how the night turned out. I would highly recommend so thank you once again. The Manhattan Ballroom is our biggest room and is perfect for large private functions, with its elegant décor, elevated ceilings and long cocktail bar. Just like New York, bigger is better and our Manhattan Ballroom is unmatched in the area. Perfect for events with entertainment, weddings, and corporate entertaining. The Sidecar Lounge and Boardroom is the perfect setting for Corporate occasions, High Tea or Cocktail Master Class Hen's celebrations. It features relaxed comfortable seating, a private bar and spacious area for mingling. The most amazing event space in the area, the Avenue is available to host private celebrations seven days a week. The sizable room also boasts an incredible outdoor terrace with its own bar which combined can host up to 600 guests. Please note this space may not be available Public Holiday Eves, and time restrictions may apply. All enquiries for this event space are to be directed to the Events Manager. Congratulations on your upcoming celebration! Planning your engagement or reception couldn't be easier at the Plaza Tavern, our dedicated function coordinator is able to assist with any entertainment, decorating, or theming of your special day. Our flexible menus and all inclusive packages make for a stress free reception. 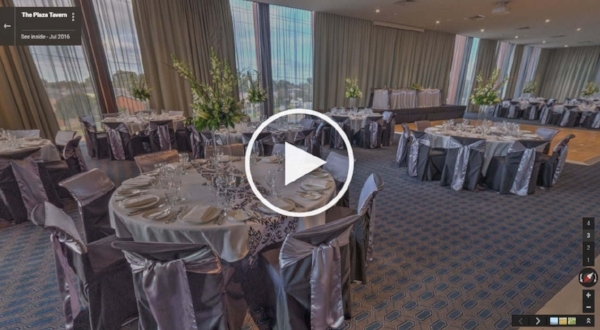 We have a range of function rooms available which are able to cater for intimate to a grand affair. Please contact us today by filling out the form below and we will get in contact to discuss plans and options for your big day. The Plaza Tavern is the perfect spot for you to plan your next seminar, conference, meeting, training session, Christmas staff function, the list is endless. We are located in the heart of Melbourne's South-West and are easily accessible from the freeway via Derrimut Road. The building is a stunning modern design with floor to ceiling windows offering natural light to your conference. Our variety of rooms can cater for intimate meetings or training days up to larger capacity conferences. Contact us today by filling out the form below and we will get in contact to discuss our flexible corporate packages and options for your next corporate function. The Plaza Tavern is able to cater for a wide variety of functions, from 21st Birthdays, Christenings, Wakes, 30th Birthdays, Fundraisers, Social Club Events, and the list goes on. Any celebration or event can be catered for and designed to meet your needs. Our dedicated functions coordinator strives to make the organisation of your function as seamless as possible. We have a range of flexible menus and function packages available upon request. Contact us by filling out the form below and we will get in contact to discuss how we can make your next social function a success.